Opening at the June Gallery Hop, Piedmont Craftsmen presents "Pottery in Motion," a solo exhibition featuring the work of Penland ceramic artist Nicholas Joerling. This exhibit will run June 5-27, opening at the June Gallery Hop. 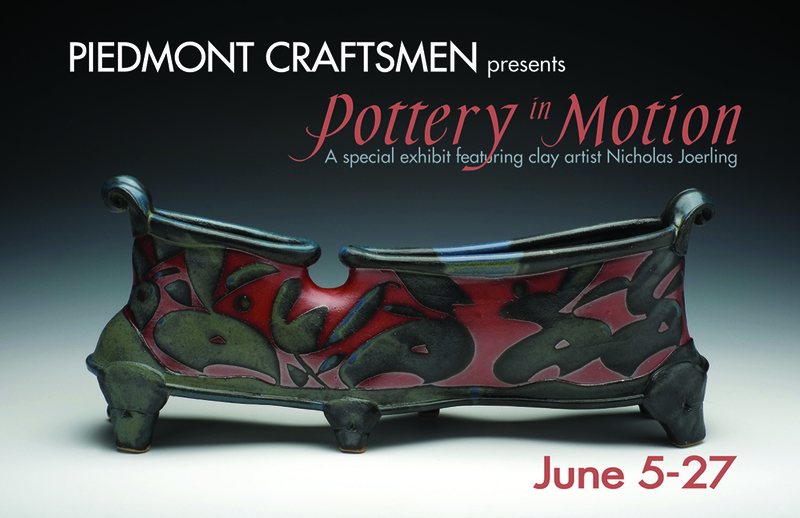 Piedmont Craftsmen is always FREE and open to the public.